Does your project require high-precision, cutting-edge distance measurement? Or maybe speed-, motion-, or gesture-sensing? 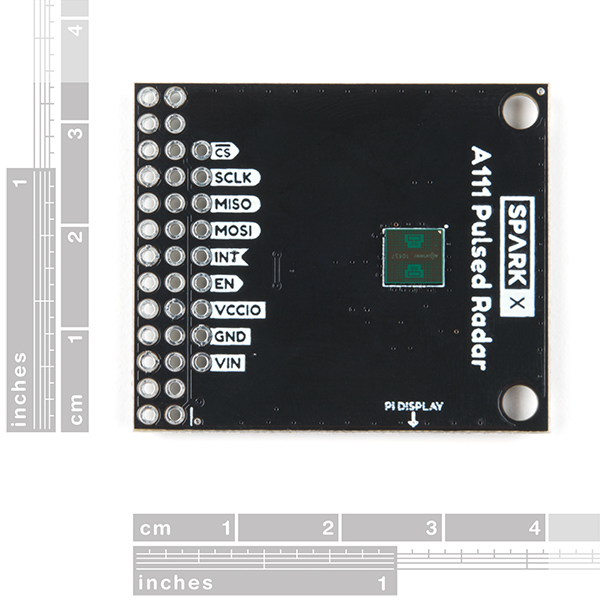 We're not talking about simple ultrasonic, or even infrared, sensors here, but 60GHz radar! Well say hello to our tiny, pulsed-radar friend: the Acconeer A111. 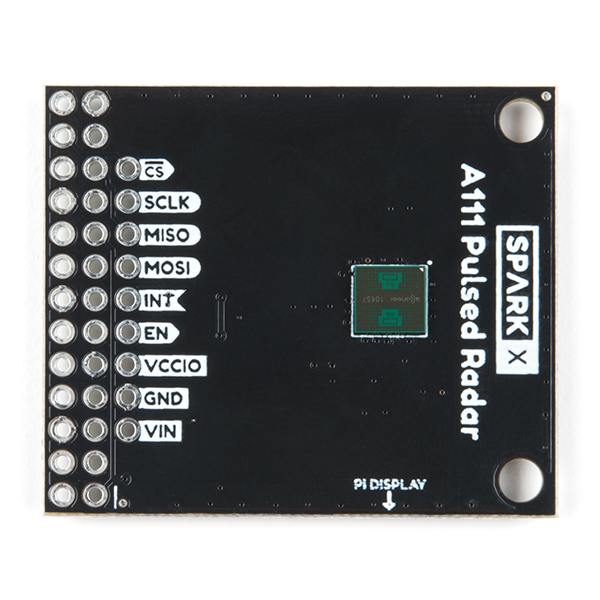 The A111 is a single-chip solution for pulsed coherent radar (PCR). It comes complete with integrated antennae and an SPI interface capable of clock speeds of up to 50MHz. The A111's primary use case is distance-sensing, but it also supports applications in gesture-, motion-, material-, and speed-detection. It can see objects at distances of up to two meters. Our breakout board for the A111 includes a 1.8V regulator, voltage-level translation between 1.8V and either 3.3V or 5V, and, of course, it breaks out all pins of the pulsed radar sensor to both 0.1-inch and Raspberry Pi-friendly headers. 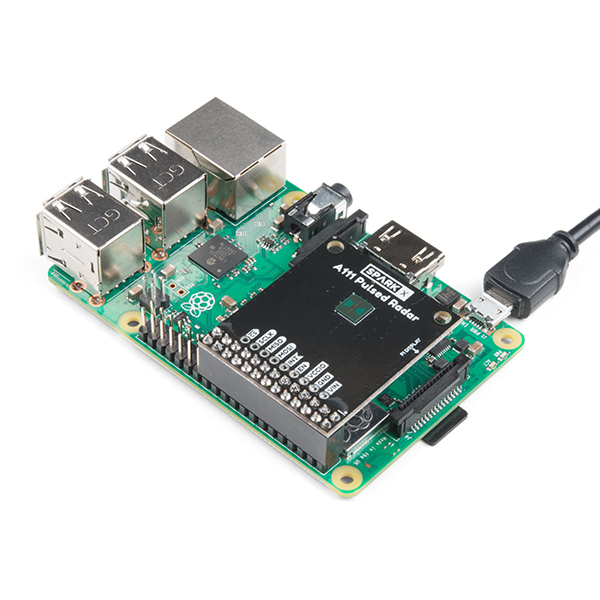 The breakout board is primarily designed to interface directly with a Raspberry Pi – Acconeer’s SDK currently only supports ARMv7’s (e.g. a Pi) and ARM Cortex-M4’s (e.g. the nRF52832). 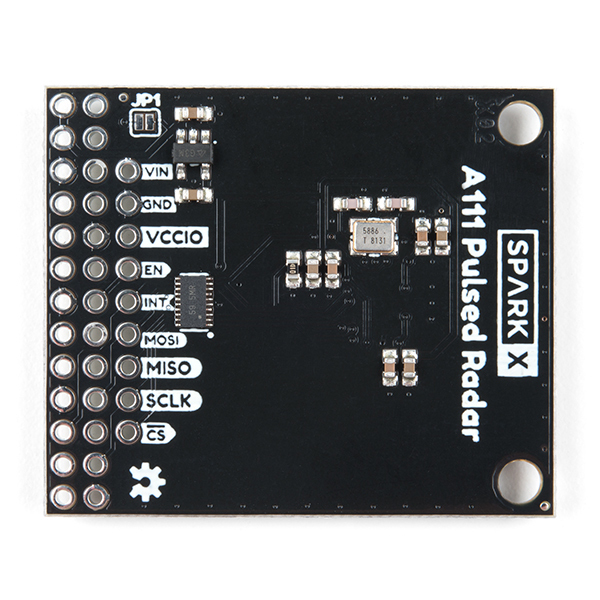 Check out our Using the A111 Pulsed Radar Breakout tutorial, which explains how to use the sensor with a Raspberry Pi. Has anyone else not been able to talk to the board via I2C? The board doesn't have any LED's lighting up, and when it's connected, i2cdetect doesn't show any I2C devices. Any ideas? 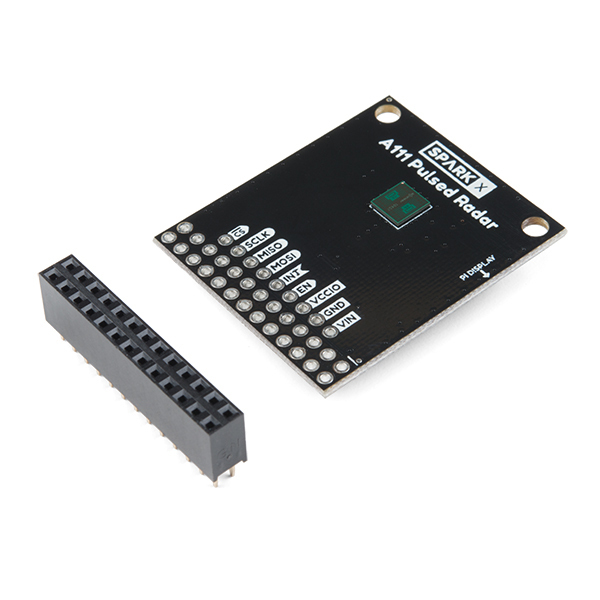 Were you ever able to connect via I2C? Were you able to use the acconeer exploration tool to connect or able to use pyserial? Are there any examples of measuring speed with this unit? The examples I found in the documentation and GitHub repo all seem to focus on measuring distance. Unfortunately not, the only examples in the SDK are a distance detector, and how-to's on using the IQ, power bin, and envelope services. Hopefully Acconeer continues building on the SDK to produce more application-esque examples. Very cool, I might need to order one of these little ladies soon! Unless I misread the data sheet it looks like the range for measuring goes up to 2 meters.